Spreadsheets and common garden Business Intelligence tools just aren’t enough anymore. It’s about coping with the increasing velocity of information coming at you, and still being able to stand back and see the big picture. 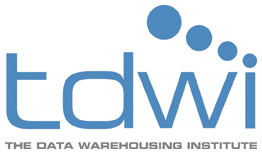 Click the image to get the full “Data Visualization for Better Decisions” report from TDWI. It’s one of the largest surveys focused on the topic, with close to 500 respondents. Here’s a little bit about the findings. While snapshots and scorecards still lead the charge in current implementations, it turns out the #1 tool that organizations plan to implement next is visual discovery and analysis – with about half of respondents seeing it on their radar. And who’s deploying this stuff? Well, IT developers still have the lead – but by a hairs breadth, at just over 60%. But 54% of business analysts say they’re picking up the reins too. That’s a big change from the analytics projects of old. It’s symptomatic of what’s happening everywhere – the pendulum is swinging to the business user – it’s about self-service, self-empowerment. So it’s no surprise that self-directed discovery was the #1 objective for visualization projects. Simply, the pace of business and business data means that business users can’t afford to wait to discover. TDWI dug right and asked the questions around the anticipated benefits. It’s clear that organizations are laser focused on improving operational efficiency – driving insights to actually make change. And once again, focusing on being more responsive to business change stood out, amongst others. But many other anticipated benefits stood out to – you can download the report here to get the answers to some of the other questions posed in the report – types of visualizations, typical key functionality, and more.